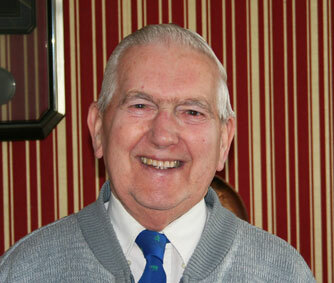 Mr Bedford started work at the Duke of York’s cinema in the 1940’s, aged about 14, as a rewind boy. He recalls how on the day he left school, he inquired at the Duke of York’s, to see if they had any jobs and how delighted he was when they offered him one on the spot. As a rewind boy in the 1940’s his job was to check the reels of film for damaged sprockets and repair any breaks by cutting and resealing the film. He recalls how after a short time he was promoted to projectionist and was delighted because he finally got to watch the films. Mr Bedford also remembers the metal token payment system where people received a token in exchange for their payment He also describes how it was not uncommon for people to queue for up to 30minutes or more before finally getting into the cinema. One of the reasons for this was that in the 1940’s the Dukes like other cinemas of the time offered a rolling programme of screenings which was typically about 3 hours long. This usually consisted of a B movie, a feature film, a cartoon and adverts for forthcoming films. Unlike today people would pay for a seat and could join the programme at any point,. People often stayed to see the programme more than once. Mr Bedford remembers working at the Duke of York’s for about two- three years. After which he joined the future manager of the Duke of York’s, Peter Drew Bear in a business that toured films around the villages of Sussex. Later he moved on to work as an engineer at the Academy in West Street and also the Regent by the Clock Tower. Mr Bedford ‘s wife Grace also worked at the Academy as an usherette. They were married for 50 years and had one daughter His time working in the cinemas of Brighton and Sussex came to an end in about 1950 when he moved on to work in a factory. This entry was posted in Memories and tagged In Conversation, Owners, Prices, Projection, Staff, Ticketing. Bookmark the permalink. Both comments and trackbacks are currently closed.